It’s been more than 10 years since Oldham County considered any version of a law that would allow the sale of packaged alcohol. In 2003, the Oldham County Chamber of Commerce led efforts to allow alcohol sales in restaurants in Oldham County. This is why you can order a margarita at a Mexican restaurant, or have a cold beer watching a ballgame at Beef O’Brady’s. However, if you’re having a party for Super Bowl, or hosting a birthday celebration, you are probably going to Louisville to buy your packaged liquors for the event. This is because Oldham County laws only allow sale of alcohol by the glass in a restaurant, not by a bottle in a store. Hence classifying Oldham County as having a “moist” law. This status has initiated organizations to take the issue up independently. In 2010, the Oldham County Country Club passed its own rule. In 2013, Yew Dell Gardens facilitated a campaign allowing the sale of alcohol onsite. Most recently, the City of La Grange passed an expanded alcohol sales law and today there are five locations offering the sale of packaged liquors within the city limits. All of this combined has created a hodge-podge of rules and regulations on the issue making Oldham County look disorganized and inconsistent. The Oldham Chamber is calling for a unified approach to the issue. But first we have to have a Special Election offering residents the opportunity to choose. First, 25% of the number of voters participating in the November, 2014 election have to sign a petition asking Oldham County Fiscal Court to allow for a special election. Second, all of the signatures have to be registered voters living in Oldham County, and have to be certified by the County Clerk in order to be counted. This means, our petition has to have at least 5,869 qualified signatures before Fiscal Court will allow for the Special Election. Third, the Special Election has to be held on a certain day, within a certain number of months after the first petition signature is received. Finally, Fiscal Court sets a date for a Special Election which we hope to be held sometime between late June and mid-July. 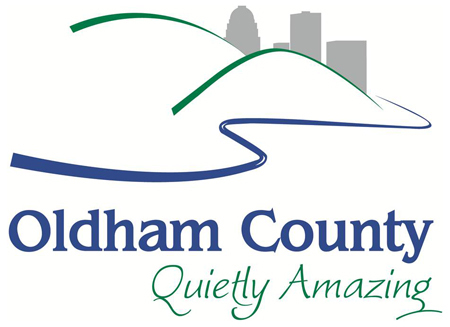 To start this journey, in February, the Oldham Chamber will mail post cards to registered voters requesting their support for a Special Election. Signing the postcard does NOT endorse or defend the expanded sales. It simply expresses support for the Special Election. It is the Special Election ballot that gives you voice on whether or not you support the expanded option or not. If you are a registered voter, be on the lookout for this postcard in your mailbox. Pay attention to the instructions and return the card so you can be counted. It’s important and it’s simple. Making the case for expanded sales is a separate issue, and I hope to have a chance to talk more about it in the coming weeks. Today, our focus is on getting enough signatures to request a Special Election. So don’t be left out. Make your voice heard!